The image of the Slovak capital is forged by the mighty Danube running through it and a city centre with welcoming streets and attractive bars generating a feeling of youthful urbanism that can be felt everywhere throughout it. The positive atmosphere of Bratislava also draws many congress organisers, all of whom have the chance to get impressed by the excellent congress facilities as much as by the many urban legends, none more so than the story of “Čumil”, a bronze statue of a man emerging from a manhole. The direct translation of the name “Čumil” is ‘observer’ and there are two explanations for that – the first, quite decent one, sets out that the statue represents a communist worker who isn’t overly bothered by the demands of his line of work. The second, rather less decent one, has it that he just likes to spend his day looking up women’s skirts. Whichever way it swings, Čumil is one of the most photographed statues in the old town and legend has it that he might even grant you a wish if you touch his head. Bratislava’s overall infrastructure is suited to medium-sized congresses and the city is known as a guest friendly one – you can easily master it on foot and thereby enjoy the historical heritage and energy that greets you with full heart and soul. The route to Bratislava is quick and easy, whether you decide to arrive by air, road or train connections, or even the watery option of arriving by the beautiful blue Danube. The Bratislava city airport offers numerous connections and works in conjunction with Vienna airport, which is only about 50km from Bratislava city centre. The young and vigorous start-up scene that connects young talent and attracts international investors is booming in Bratislava. Did you know that the award winning start-up Slido was born in Bratislava? The sheer size of the market and a population of five million people makes Slovakia a perfect breeding ground for new ideas, ideas that could potentially be helping you in the future. As a university town Bratislava is home to many students and consequently there are the use of new technologies at every turn. It is also why they have one of the fastest internet connections in Europe, letting you to surf at 17 Mbps. In our opinion, Bratislava is the ‘best bang for your buck’ destination in Europe, and that gives it an advantage over its rather more expensive neighbour of Vienna. Yet at the same time the quality of congress services is very high and completely comparable to those in Vienna. Bratislava exudes a feeling of safety, backed up by one of the highest safety indexes in Europe and also a very high quality of life according to Numbeo standards. The world’s tallest statue of a horse is located in the Sport and Congress Centre Xbionix Sphere in Šamorín-Čilistov. Made entirely of stainless steel, it rises to a height of almost nine metres and weighs in at 20 tonnes. Petržalka is the biggest housing estate in Bratislava and the most densely populated housing district in Central Europe. The name, which first appeared at the beginning of the 20th century, refers to vegetables grown in the area. According to data from Google, people in Slovakia enjoy the world’s fastest internet browsing experience, taking on average about three seconds for a website to be displayed on a monitor in Slovakia, the shortest time globally, as reported by the Sme Daily. Slovak capital Bratislava lies on the borders with Austria and Hungary, making it the only capital city in the world that borders two independent countries. Moreover, Austrian capital Vienna is just 60km away and both cities lie on the banks of the Danube river, with a boat cruise between them taking just 90 minutes. According to U City Guides, Slovakia ranks in the top three countries with the most beautiful women in the world. They even argue that the country can be especially proud of the grace the Slovak blondes were born with. It would be difficult to visit Slovakia and not get a little bit entranced by the natural charm of Slovak women. The imposing building that is the brainchild of Slovak billionaire Mario Hoffmann and Prof. Dr. Bodo Lambertz is sure to make an impression on any visitor. Luxury materials and a deliberate practicality, but all with a taste of modernity, are the key elements of the interior design at X-Bionic. Both interior and exterior spaces form an incredible experience and the designers have taken especial care of every minor detail. 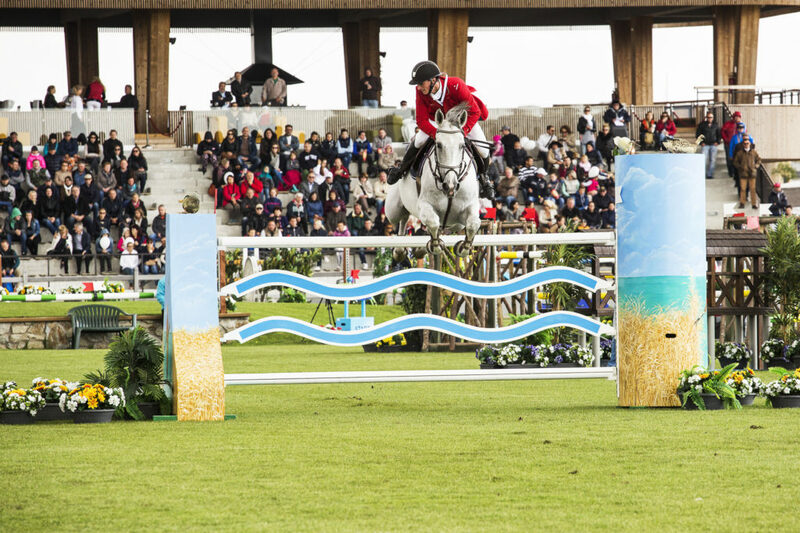 A prime advantage of the centre is its sport offer, which will wow the more active congress participants, as it does the professional athletes in training there for the Olympics. We believe that the story of this facility will bring a fresh new wind to the already very dynamic congress industry of Bratislava. A popular recreational centre with numerous hiking trails amidst picturesque lakes – perfect for picnics and with just a little bit of imagination also an excellent event space. The oldest public park in Europe is a popular location for organising events and concerts near the Gothic Tower. If you are a hiker at heart the route to the TV tower can easily be scaled on foot, but if you don’t feel like walking there are also road connections to get there. On a clear day the tower offers amazing views of Bratislava and you can also enjoy a nice meal in the restaurant. The Water Sports Resort in Čunovo is 20km from the centre of Bratislava. Besides water sports the resort offers you the possibility to try various adrenaline activities, such as hydrospeed, water scooters or paintball. There is an off-road track 1km from the resort, where visitors can take a ride on buggies or four-wheelers. Designed by Hans Roth, this is an attractive destination for both local and international events. It offers exclusive rental of the longest road race track, with all the technical support, infrastructure and rent of race cars with special sports tuning, to let you test out your driving skills. 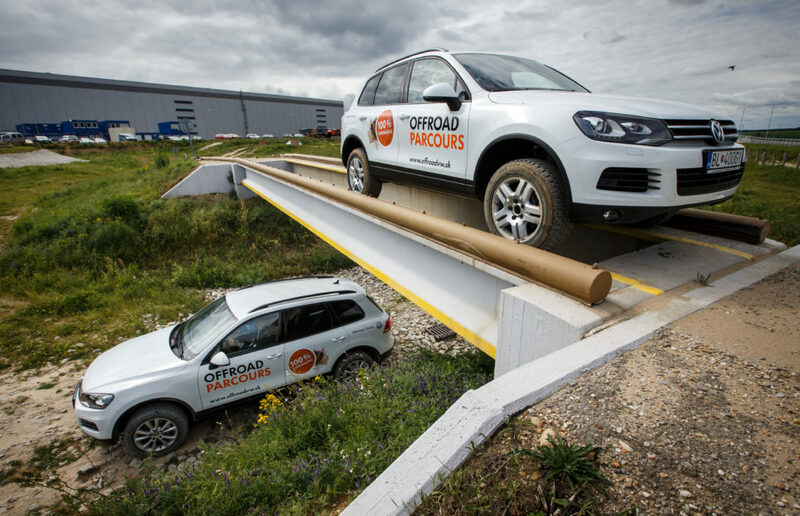 This purpose-built off-road driving track was created by the Volkswagen plant in Bratislava, where the company’s flagship off-road SUV the Volkswagen Touareg is produced. The 1,488-metre-long circuit, with its 26 distinct features, challenges each driver’s skills as well as provides the opportunity to fully experience the Touareg’s performance in extreme situations. The city’s biggest festival, the Cultural Summer and Bratislava Castle Celebrations will be delivering its 42nd edition in 2017. 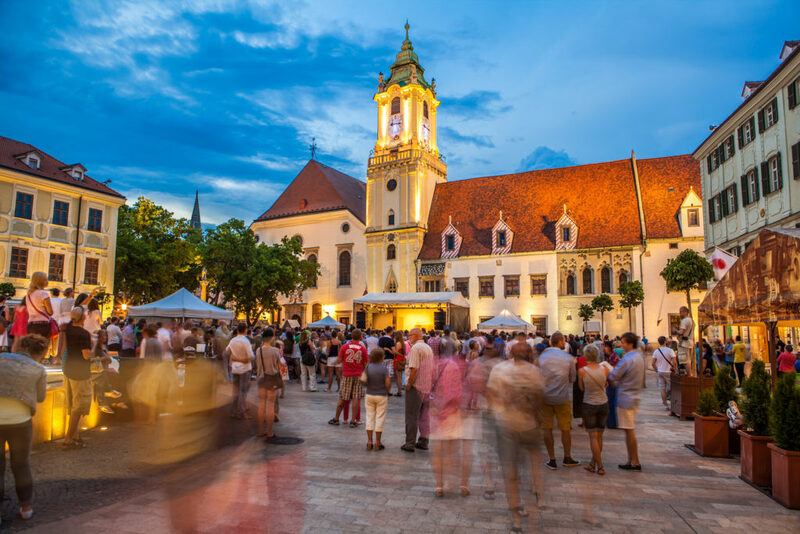 As with last year it again plans to create a spectacular in Bratislava full of multi-genre programmes for residents, but also for summer visitors to the capital. This is Slovakia’s hottest international design event covering the field of contemporary design. Founded in 2009 as Designweek, it was later renamed Bratislava Design Week. The largest reggae festival in Central Europe has since 2008 taken place annually in Bratislava. The area around the Zlate Piesky (Golden Sands) lake at the edge of Bratislava is ideal for it and as more and more people have kept coming Uprising has broadened its genre spectrum to include others deemed acceptable by the reggae community, such as dancehall, ska, latino, hip-hop, dub, dubstep, ragga-jungle and dnb. For the eighth time this will be the largest picnic in the city! 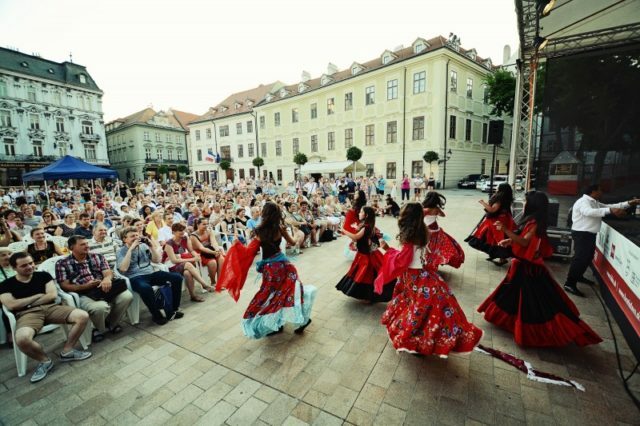 The event, loaded with great food, drinks, live shows, competitions and discussions, will again be held in Bratislava Castle’s outdoor spaces. 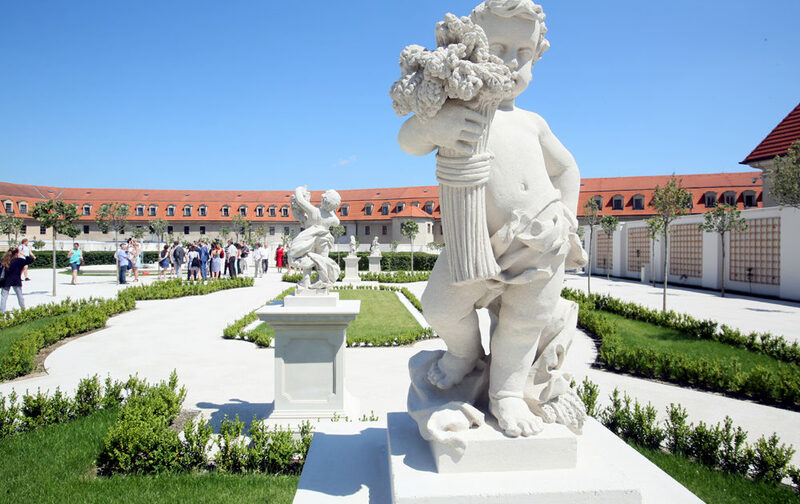 With the motif “fresh and playful” the Slovak food festival this year again brings Thursday wine evening to Bratislava Castle, a media competition in cooking and a children’s playground. One of the largest cultural events in Slovakia this one presents in a very experiential way the 18 coronations of kings and queens that have taken place in the city. It takes place annually over the last weekend in June to commemorate the coronation of Maria Theresa, who was crowned in Bratislava on 25 June, 1741. Similiar to Ljubljana, Bratislava is also without a subway system, so instead you will find a well developed system of trams, trolleybuses and buses. In any case, as the old city centre is quite small you won’t have any problems making it around on foot. After years of acquiring experience and knowledge in Michelin-starred restaurants like Gastrologik, Mathias Dahlgren and Fotografiska, Lukáš Hesko is now returning home to redefine Slovak cuisine. His restaurant at Fach is all about simple dishes that are full of strong flavours. An unusual place, being a restaurant, a »botel« (morel on a boat) and a brewery on a boat moored on the banks of the Danube within Bratislava’s city limits. The concept of the place is refreshing – the view upon the castle and the Old Town of Bratislava is amazing and you will actually feel you are on a boat with its interior design. An iconic symbol of Bratislava, the alien spaceship-like building on the MOST Bridge is home to restaurant and cocktail bar sitting 95 metres above the Danube and with a beautiful panorama of the capital. 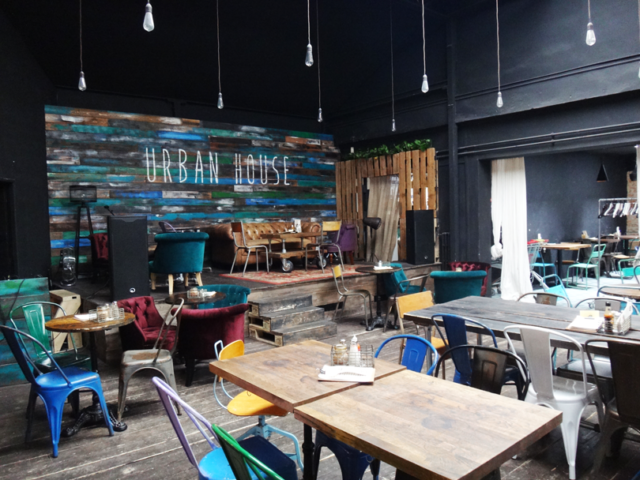 If hipster bars and restaurants are your thing, you will love the Urban House. Craft beer and innovative cuisine are just a part of its offer and the space can also be rented for parties or as a special venue. This former Kempinski hotel is consistently setting a high bar for hotel and congress services and has won numerous awards for being best hotel in Slovakia. With 231 rooms and a congress centre for 300 participants it is the perfect balance for corporate events. Its location by the Danube, which is also the main city promenade, is another big asset. The hotel was opened in 2010 alongside the Eurovea business-shopping centre. The large congress hall is one of the most capacious in town, able to accommodate 380 guests. An added benefit is the historical and recently renovated Warehouse No. 7, which complements the hotel offer. The hotel makes an impression with its functionality and elegance, and with its own story and sophisticated details it is definitely a venue that combines the classic and timeless with a contemporary functionality suitable for a variety of purposes. It is ideal for those who wish to opt for a legendary hotel story, as here is one that testifies to the rich history of Bratislava and to thst of the hotel building itself. Located near the Ondrej Nepal hockey stadium, the Double Tree by Hilton is a modern hotel with a 1,200m2 congress centre. The biggest hall has space for 624 participants, putting it among Bratislava’s largest congress hotels. The Congress Centre currently includes 12 congress halls, the largest of which can accommodate up to 600 participants and has the added benefit of a high ceiling. Event organisers will also love many of the external surfaces: zen-style atriums and delicately hidden corners to which in good weather you can migrate elements of an event. Slovakia is becoming the »European Detroit«, attracting more and more car manufacturers due to national initiatives, low working and living costs and its favourable logistical location. 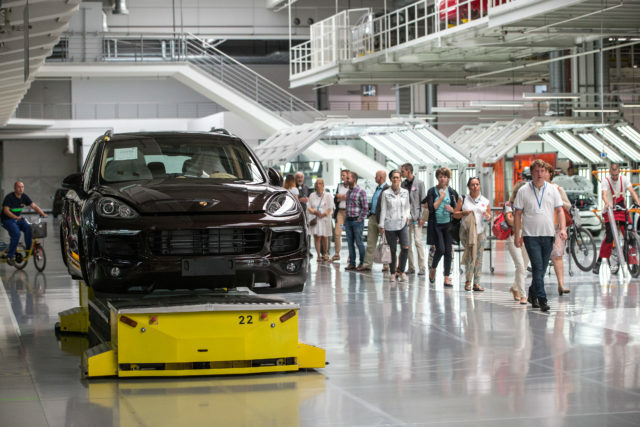 The country’s powerful car production represents 43% of its entire industry and Slovakia now has the world’s highest car production per capita. In addition to Kia, Slovakia also managed to attract Volkswagen, Peugeot and Citroen, and has recently celebrated the start of construction for a new Jaguar and Land Rover factory in Nitra, which won the investment against competition from Poland, Hungary and Mexico. Additional to the car manufacturers, Bratislava is also known for their innovations, thanks to the suppliers of optoelectronic, robotic and software sector. The automotive sector also generates a lot of events and is helping Bratislava become more interesting for car launches. Along with interesting exhibitions and a permanent collection featuring the most renowned artists from Slovakia and abroad, allow yourself to be surprised by this park with its 60 sculptures. The rooftop terrace that offers a unique view of the expansive Danube River and the surrounding countryside is one of the best special venues in Bratislava. Skip the generic walking tours and do this one, since you will get to know the local sights, sips, bites and a “hidden” side of Bratislava that you will not see with anyone else. This Bratislava tour starts with a shot of a local spirit Borovička right in the middle of the main town square and continues with exploring the parts of Bratislava that most of the tourists never see. On the tour, you will enjoy fantastic views of the city during a picnic of traditional Slovak snacks made locally. 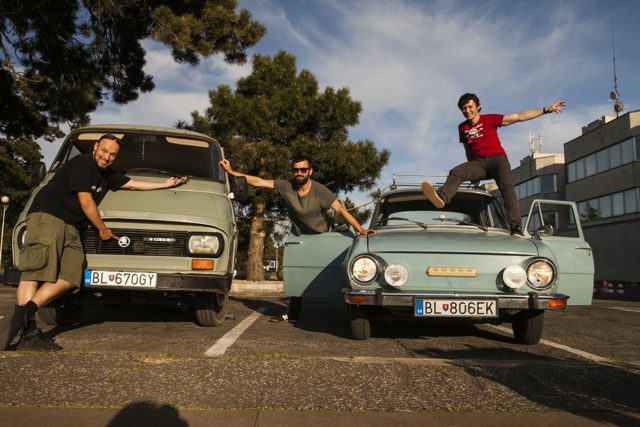 A funky retro tour in a legendary 70s Czechoslovak Škoda car (or a jalopy 8-seater Škoda 1203 van). The journey will take you through the off-the-beaten-track places of the communist past as well as recent transformations in Bratislava. You will visit a vast concrete housing estate zone, the monumental Soviet Slavín, abandoned factories, riverside developments, a 1930s bunker line, the former Iron Curtain border zone and lots of communist architecture. Local insight guaranteed. Discover Bratislava city centre in an amusing and unconvential way! In a team of up to 6 people complete missions and encounter a lot of entertaining and original tasks. You will enjoy some nice scenery whilst you find picturesque hidden spots. As a bonus you will learn some interesting facts and myths about places en route. It is possible to play from a solo group up to 60 people in 10 teams at once. Bratislava is a smorgasbord of historical heritage and modern venues that cry out for you to capture them on your devices. Whether it’s presentations of new cars or monuments from the socialist past, Bratislava’s contrasts attract professional and amateur photographers alike from all over the world. If you are looking for a modern backdrop the ideal locations are the Digital Park, Euroeva centre, Danubiana Art Musem or the Elesko-Zoya Museum (in a town called Modra, which is 40km from Bratislava). For classics lover list is endless; some iconic locations are Bratislava Castle, the Presidental Palace, Reduta, the Slovak National Theatre and many other castles in the vicinity of town. Bratislava has all the right scenery, photogenic locations, romantic nature and contrasts between the old/rural and modern to make it ideal for many different kinds of events.